Pace cars. Grid girls. Great racing. 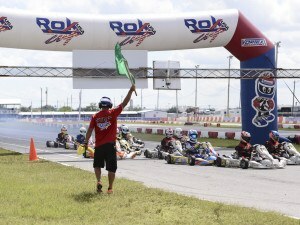 2015 marked the 3rd year of the ROK Cup USA series, spanning five events around Florida’s race tracks and drawing more than 160 drivers throughout the season. 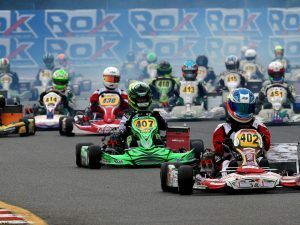 The series runs on the spec line of Vortex engines with 7 classes ranging from Micro ROK to Master Shifter ROK, and attracts a diverse group of drivers, both young and old, from the United States, Canada, and Central and South America. 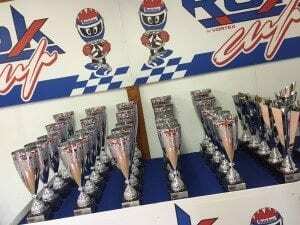 Seventeen of those drivers were lucky enough to earn a spot at the ROK Cup International Final this year. The series is known for its fierce competition, thanks in part to the spec engines, which keeps the racing close and the intensity high. As we prepare for the 2016 season, we’ll take a look back at the highlights from this year. Twice a week we will feature a recap of each class, starting with Micro ROK. Stay tuned!